In math, time can be defined as the ongoing and continuous sequence of events that occur in succession, from the past through the present to the future. Time is a used to quantify, measure or compare the duration of events or the intervals between them, and even, sequence events. 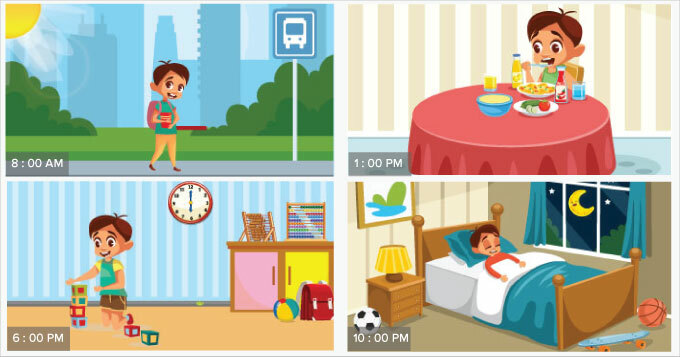 Here, a child’s daily routine events have been put in sequence according to the time at which they are done. We measure time in seconds, minutes, hours, days, weeks, months and years with clocks and calendars. A day has 24 hours. We use A.M to tell time running from midnight to noon and P.M. for time running from noon to midnight. 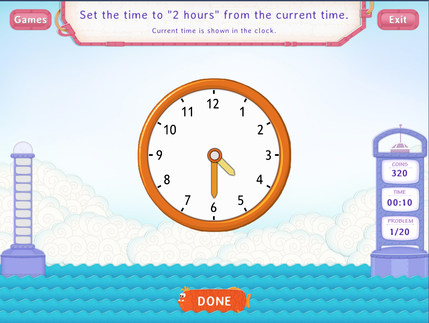 We measure and define what time of the day it is using clocks. A clock in general has 12 numbers written on it, from 1 to 12. It has an hour hand, and a minute hand. 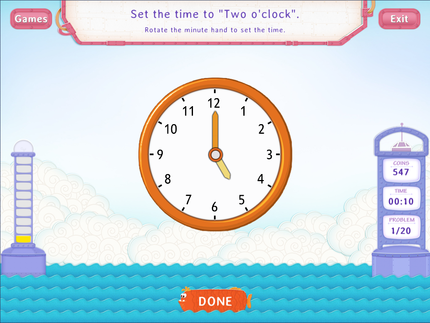 The time is usually based on 12-hour clock. 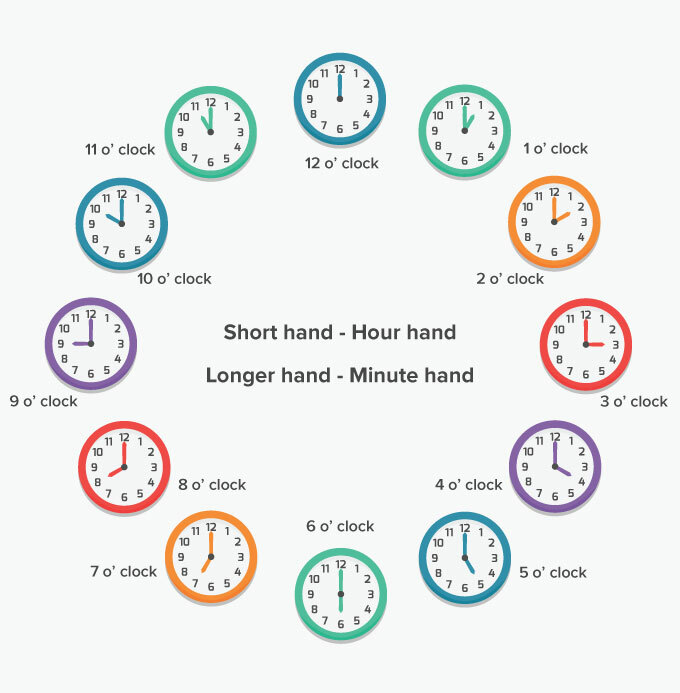 The hour hand, the shorter of the two hands, completes 1 rotation ( 360° ) in 12 hours in a normal 12-hour analogue. The minute hand, the longer hand, completes 1 rotation through 360° in 60 minutes. Here’s how the minute hand’s movement shows different time in an hour. Time is unstoppable! It runs continuously. 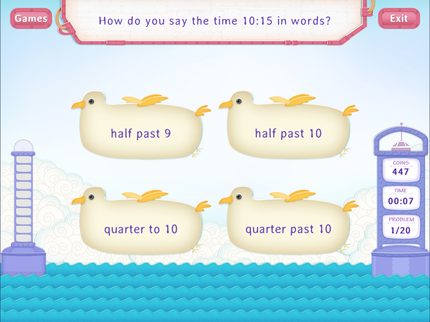 Instead of handing out worksheets on marking time, ask your child to make an hourly time table for him/herself. Further you can ask them to observe how much time they take to complete different tasks during a day.